We woke up ready to paddle. Well, actually to pedal. The kayaks that we borrowed are equipped with a virtually hands free propulsion system. See the video below. This allowed us to fish, take pictures, and pet the dog, all while making forward progress. Speaking of the dog, of course we brought him. The other advantage to these kayaks is that they are sit on top kayaks instead of sit in kayaks. Sit on top configuration does not go as fast and is definitely not as stable as the sit in kayaks. However, we were able to bring all the gear we wanted and have a vacation with our dog. Leaving Telegraph Cove in the late morning seemed fine. We got our tide and current chart and asked for someone to decipher it for us. There was a bit of concern that we did not have a VHF radio or marine charts. The winds were low and everything seemed doable. We got breakfast to go, loaded the boats, and pedaled out of the small marina. 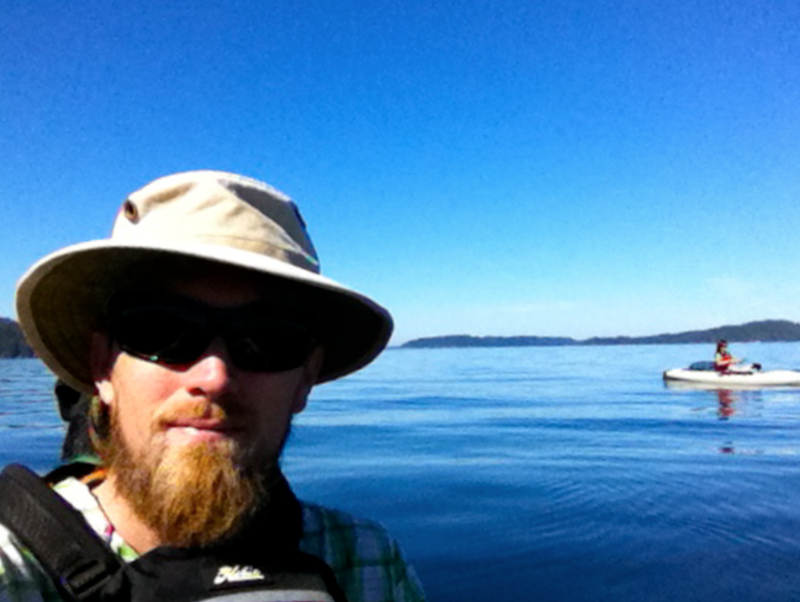 We made it about half way across Johnstone Strait before the currents got the best of us. At first it was kind of funny watching the currents pushing us from left to right. Then the waves got bigger. Then there was a big whirlpool. After 30 minutes we weren’t moving. The waves were coming into the boats. We had no radio. Boats were intentionally avoiding the area. We might be in trouble. It took our remaining strength and composure to swallow our pride and turn around to head back the way we came. 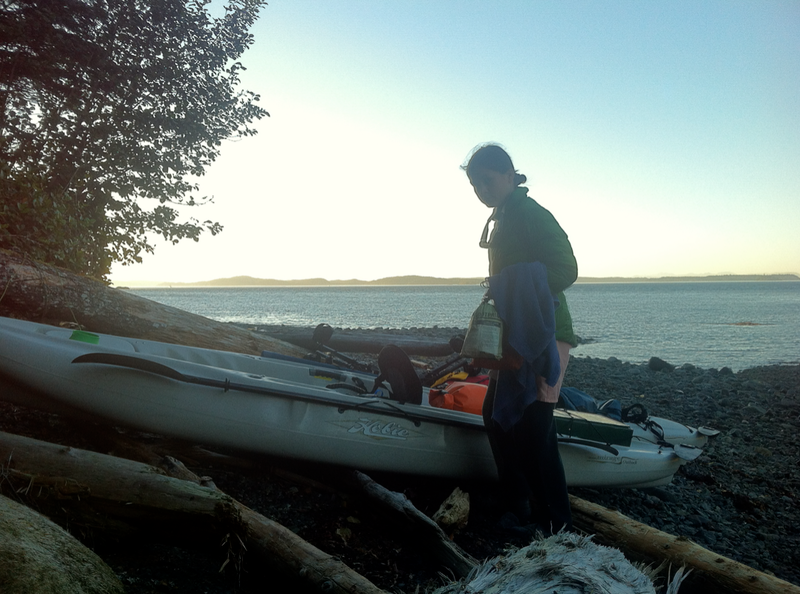 Once we were safely back on shore, we found a beautiful campsite and set up our house for the afternoon. We were down, but not out. We looked at the map to try and figure out if we could camp on the side of Vancouver Island without crossing Johnstone Strait. 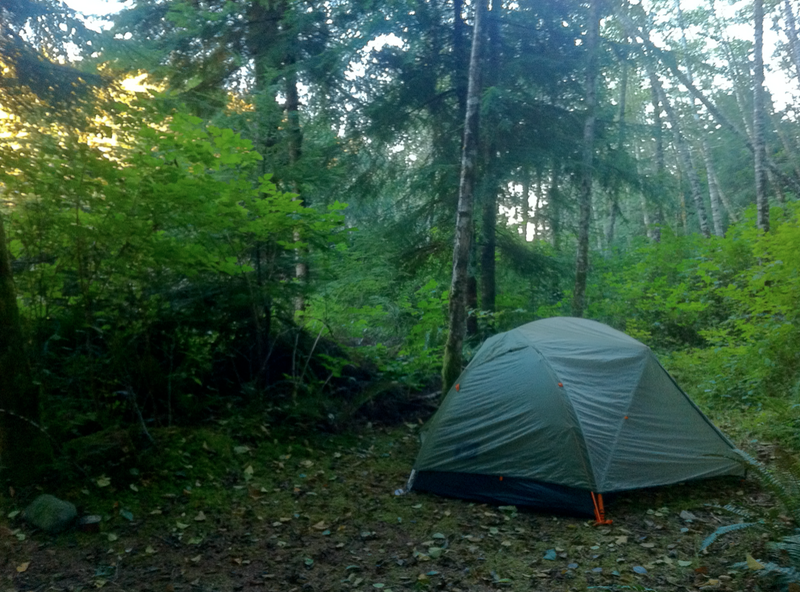 This entry was posted in adventure, Amanda and tagged adventure, camping, Canada, Johnstone Strait, kayaking, Telegraph Cove, travel, vacation, Vancouver Island by Rory. Bookmark the permalink.